This article aims to present an artifact based on a design paradigm called "meta interface", an interface for interfaces, as a useful mean of improving existing interfaces for the individual needs of various classes of users. As a proof of concept of this paradigm, a case study was implemented. It consisted in the development, implementation and application of a “Meta-interface” with the aim to provide better access for users with low vision. 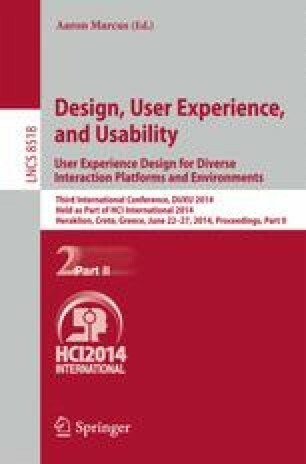 The results confirmed evidence of the feasibility of this paradigm and also generated evidences for its effectiveness in improving the usability and accessibility of websites.